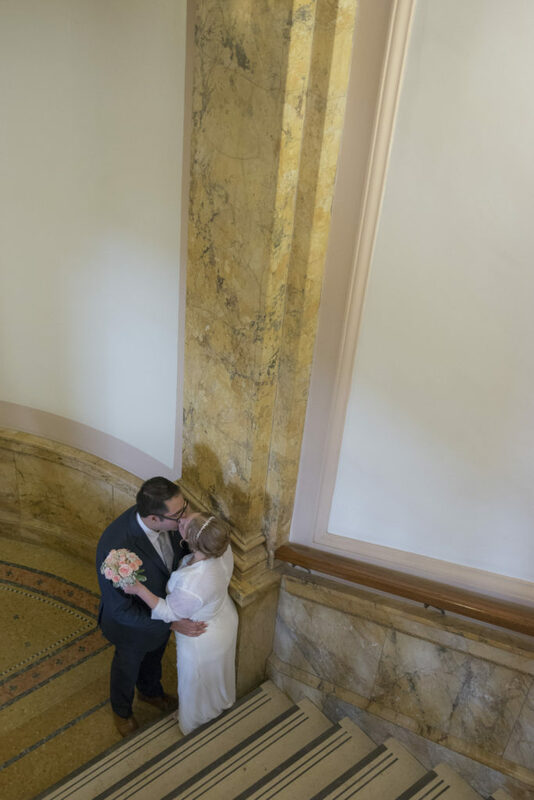 Tying the knot at Milwaukee County’s Courthouse can be as solemn and beautiful as anywhere. It does require a few steps unique to the location. 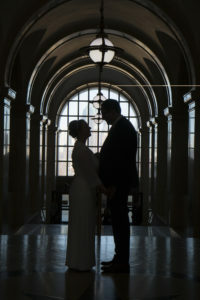 Cream City Weddings has documented many couples’ nuptials at the courthouse and offers these simple tips and reminders. 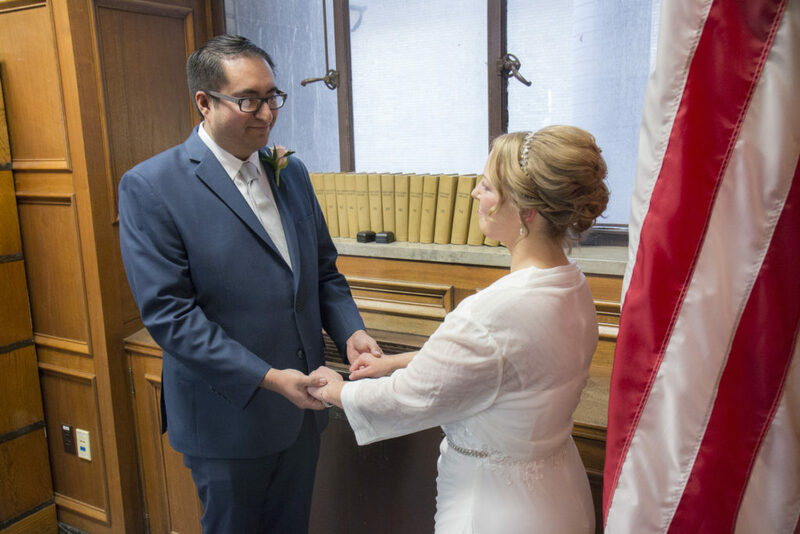 Requirements for a Milwaukee County Marriage License: Read carefully before you go to get your marriage license! You must have a set wedding date no more than 30 days from the day you apply, but no less than 7 days. One of you must be a Milwaukee resident to obtain a marriage license. You may use the license in any county in Wisconsin to marry once you have it. Be sure to have your correct information on your drivers license, or bring a bank statement or utility bill. You must be 18 years of age, or if you are 16-17 you must have parental or guardian consent. You must have a certified birth certificate. Photocopies are not acceptable,so make sure it’s certified. Not sure? Call the hospital where you were born and ask how to obtain a certified copy. You must supply your social security numbers. If you were previously married, you need to bring a divorce certificate, legal annulment or certified death certificate. You may not marry until 6 months after a previous divorce. You must provide the name and address of the person who will be conducting your ceremony. 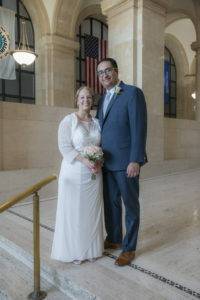 Courthouse Weddings: Sometimes referred to as a “civil ceremony” you can be married in the Milwaukee County Courthouse. 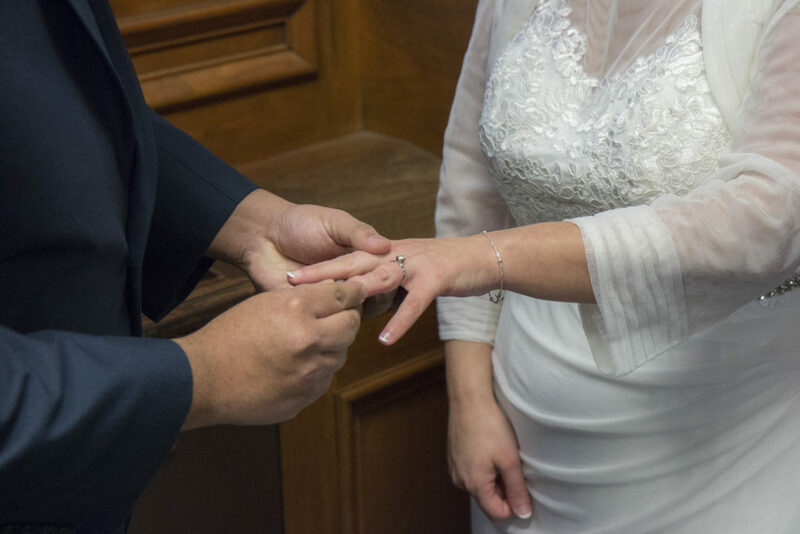 These ceremonies are usually performed by a Judge or a Clerk of Court who has the authority to legal marry you. The ceremonies are brief, about 5-7 minutes and you may bring witnesses and they may be professionally photographed. At the Milwaukee County Courthouse you can get married Monday through Friday by appointment only. If you’re wanting a Friday wedding plan ahead as they are the most popular days and they do fill up. 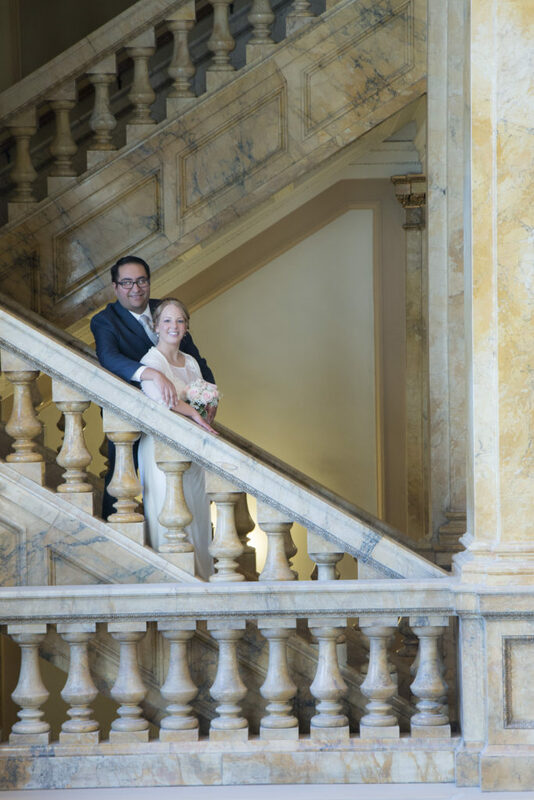 The fee for courthouse weddings is $100 payable on the day. Don’t forget to bring your marriage license! 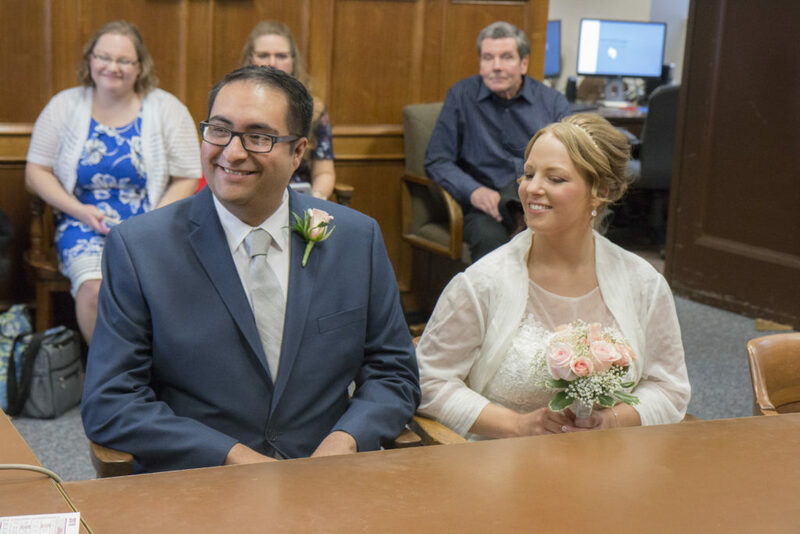 Cream City Weddings is proud to provide quality photography for small events, elopements and courthouse weddings in Milwaukee county. Just because you’re having a smaller event or wedding doesn’t mean your memories are any less important. Whether you want just an hour of coverage or a few hours more while you go to a local park or grab a brew together we’ll capture your special day for you with flair.